Hello and welcome to 2016! 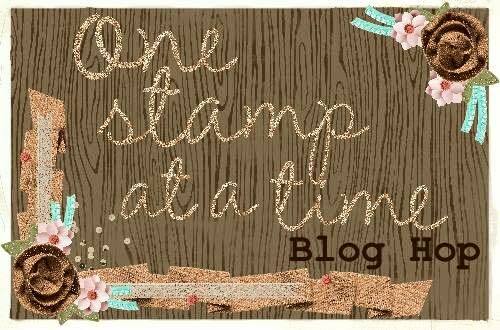 Today I am hopping along with the OSAT Blog Hoppers with the January "No Rules" blog hop. This means that there is no one theme, so I am sure that you will find plenty of inspiration with the projects that we have here. Don't forget to click on the "Next" button below or the individual links listed. For my card, I decided to do a clean and simple design using one of the new stamp sets being offered during Stampin' Up's Sale-A-Bration going on now. This stamp set is called "Hello". I embossed the large "Hello" with Pool Party on the Bermuda Bay card stock. The rest of the sentiment was stamped using the black memento ink. I accented the card with pool party twine and hearts punched with the heart border punch using the silver glimmer paper. This card is short and to the point, but I love it. If you would like to earn this stamp for free, please check out the link to my store below. I needed a desk calendar for 2016, so I created a new one using a template from one that I made previously in my up-line's monthly club. This is just slightly adjusted from the original. It is a Tee-Pee design. Each quarter has it's own side, you just flip it over when you need to change the seasons. Multiple stamp sets were used for the sentiments, but the main stamp set was the Stampin' Up "Sheltering Tree". I used a variety of paper and ink colors accented by linen thread. The first portion of the calendar uses Mint Macaron, Sahara Sand and Early Espresso. I am sure that the scenery is hitting close to home for a lot of individuals! Spring is just around the corner! This scene uses the Watermelon Wonder and Old Olive colors. Don't you just love the flowers across the background? Warm weather and the great outdoors are part of the summer time fun. The little bicycle is adorable! The crisp cooler air of Fall brings the beautiful colors of the leaves..... both on the tree and on the ground! The little rake is a cute touch with the little leaves peppering the ground. I hope you have enjoyed both my card creation and my calendar project (it is on it's way to my office tomorrow!). Products used are listed below for your convenience. Now it is on to Megan's blog. I am sure you will love the creations of all the other hoppers, please check them all out and show some love. Now is the best time to place your orders for your Stampin' Up Annual Catalog items and the new Occasions catalog. For every $50 in merchandise purchased you can receive one item from the Sale-A-Bration catalog. Click the link to my online store below to download the new catalogs. I will be happy to help you in any way. Happy Stampin'! These are all lovely Kim. Adore the clean and simple card. Just stunning. Those calendars are terrific, I really need those for my office!!! What a great job you've done on everything this month! Love your CAS card and your calendar is awesome! I love that design! I love your seasonal calendar and your clean and simple card! Beautiful work! Wow I just love the calendar...that is so cute!!!! Your calendar is fabulous! The Sheltering Tree set was just perfect! Just love your calendar and card!! Simple and perfect! Thanks so much for sharing!! These are so cute and I especially love the calendars. Great use of that set. CLean and simple - my kind of card! The calendar is just adorable! The highlight to any desk! Great projects! You made such lovely scenes for your calendar. I absolutely love your project!!! Looks like I will FINALLY be buying that tree!!! Great card & project! I'm going to have to CASE the calendars!! I really love your clean and simple card! I always want to add more and more to every card and I have such a hard time making stunning CAS cards like this one.